Based on interviews Alex and Geddy have given over the last year or so, the tour could be a look-back over the band’s 40 years, featuring pieces that don’t typically get played, like “Jacob’s Ladder.” They’ve also talked about playing an entire album, like they did Moving Pictures during the Time Machine tour. Alex has also talked about introducing some new material, although that might be entirely aspirational. “In my mind, ideally, we’d go out with a couple of new songs, and revisit some old stuff, maybe stuff we haven’t previously played,” he said in a Radio.com interview he and Geddy gave last month. 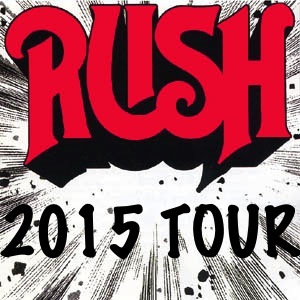 RushIsABand has more detail on the tour. ~ by rvkeeper on December 30, 2014.